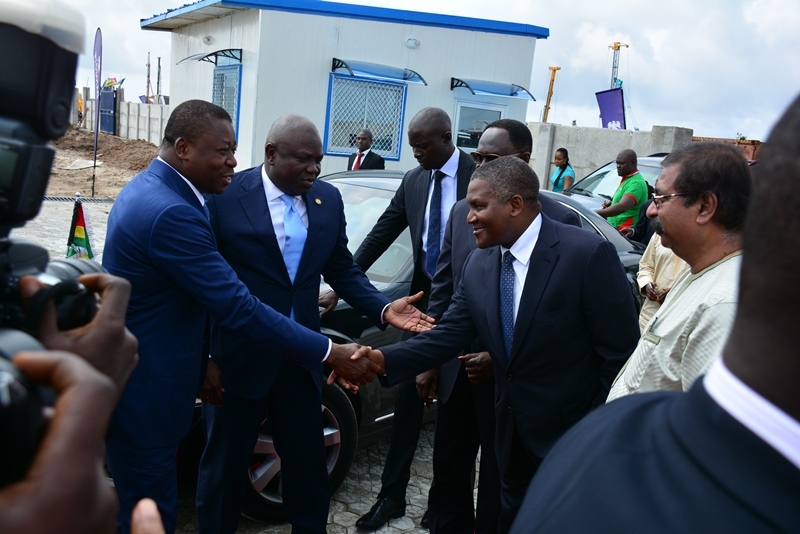 Lagos State Governor, Mr. Akinwunmi Ambode on Tuesday said the largest single line refinery in the world being developed at the Lekki Free Trade Zone (LFTZ) by Africa’s richest man and business mogul, Alhaji Aliko Dangote is another confirmation that Lagos is a prime investment destination, saying that the project will positively change the face of oil and gas business in the West African region. 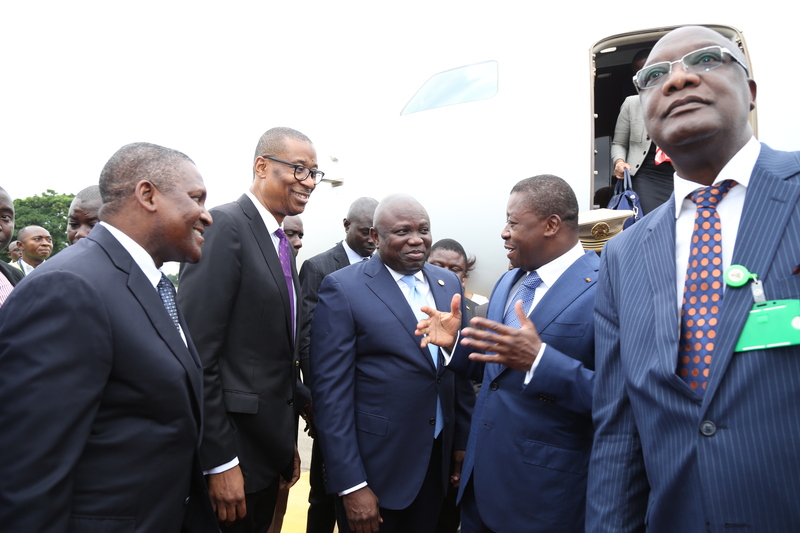 Governor Ambode, who spoke at the LFTZ during an extensive inspection tour of the Dangote Refinery by the Togolese President, Mr Faure Gnassingbe, said the refinery eloquently attests to the fact that there is a positive investment climate in Lagos which has resulted in massive investor confidence. The Governor said: “This investment (Dangote Refinery) is one of the biggest in Africa today and will have a huge impact on the economy of not only Nigeria but the whole of West African region. “This refinery, when completed, will be the largest single line refinery anywhere in the world refining 650,000 barrels of crude oil daily. 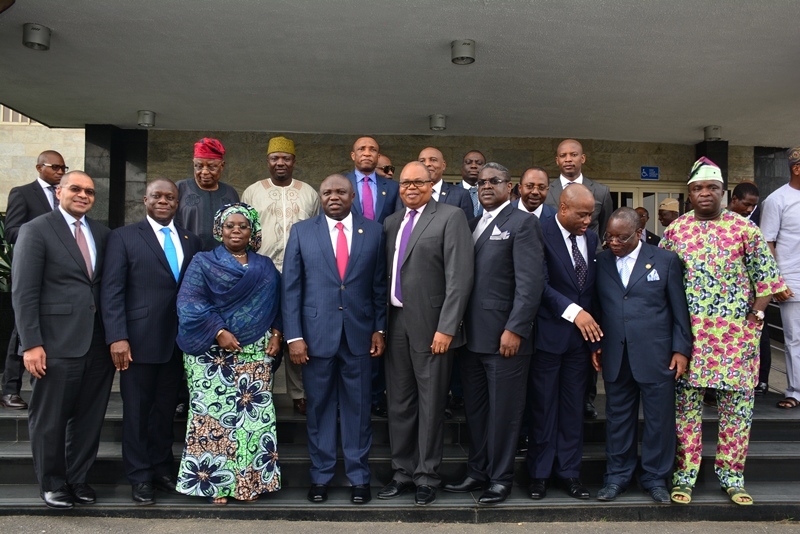 “Apart from creating jobs, this refinery will contribute immensely to solving the fuel supply challenge in the West African region,” Governor Ambode said. The Governor expressed satisfaction with the level of work done on the project so far, saying that he was happy that a lot of progress had been made. 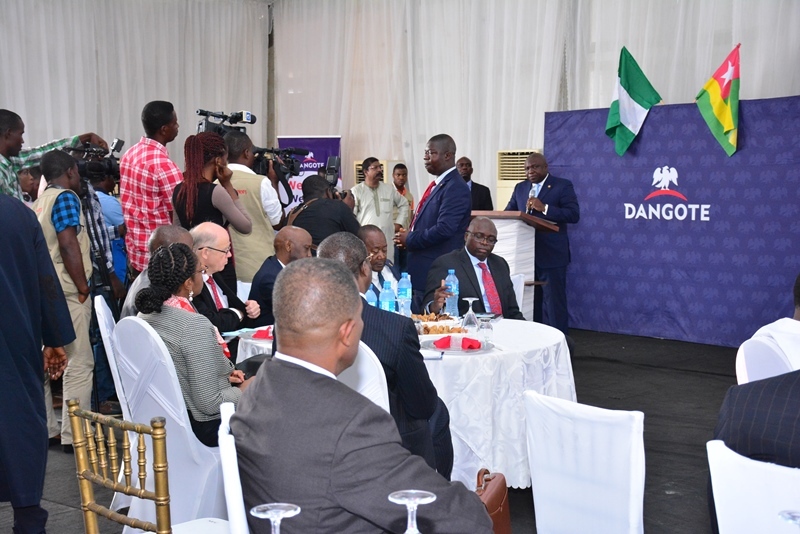 He commended Dangote for his vision, doggedness and unwavering desire to contribute positively to the growth of the Nigerian economy, as well as his confidence in the Lagos economy. 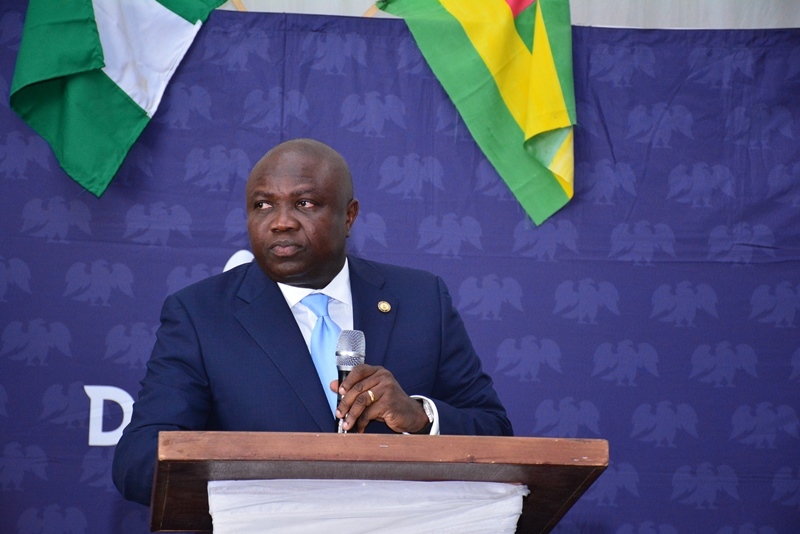 Governor Ambode said aside the fact that the project confirmed the positive investment climate in Lagos which has resulted in massive investor confidence, he also strongly believes that the future prosperity of West Africa is in collaboration between government and investors, which was why his administration has been working hard to encourage investment in the State. 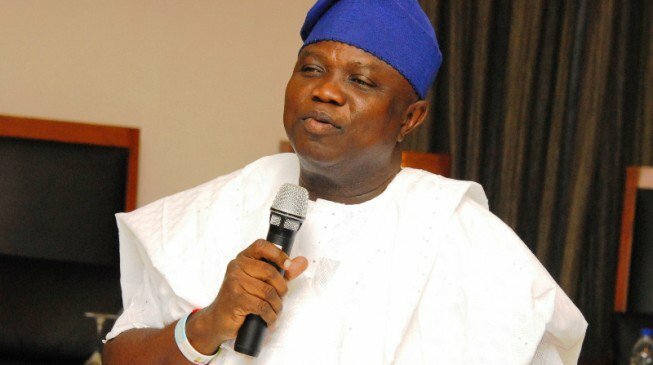 Governor Ambode said as a prominent Head of State in the West African region, he was not oblivious of the interest of President Gnassingbe in the Dangote Refinery, adding that the project was one of the emerging opportunities in Lagos State. 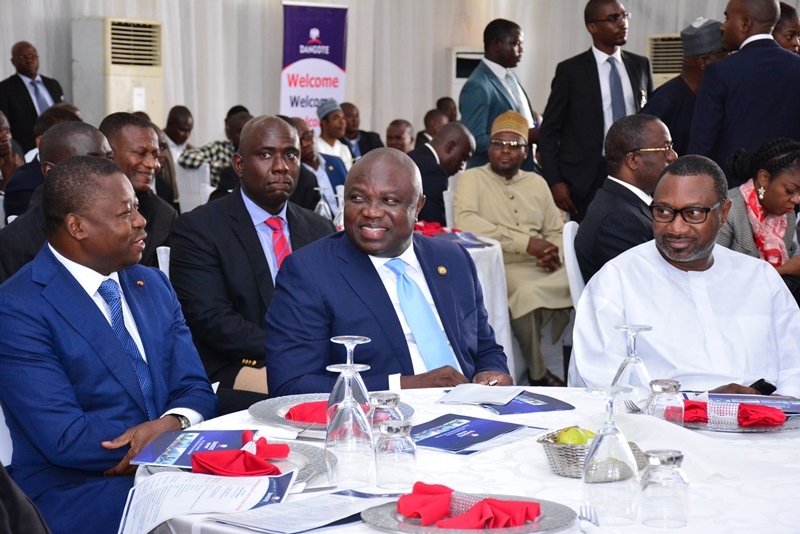 While inviting Togolese investors to take advantage of the positive investment climate in Lagos, Governor Ambode said the State is open for businesses, and that his administration, in a bid to encourage investment, had massively invested in infrastructure and security of lives and property. “Lagos is open for business. We are open to collaboration with the Togolese Government and investors to move our two countries forward. “Our government is investing massively in creating infrastructure which will support businesses and individuals. We have made huge investment in security and we will continue to ensure that the lives and property of all citizens are secured. “We will remain partner in progress with all our investors. 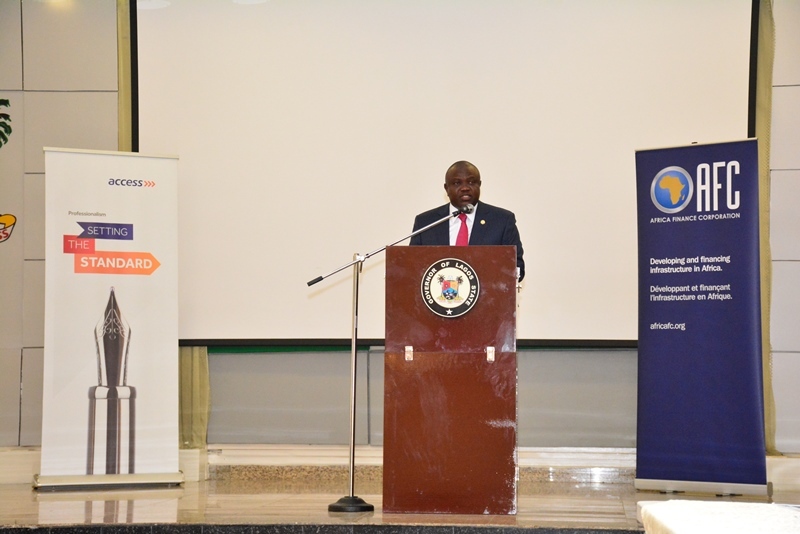 Our desire is for investors to invest in Lagos, grow their businesses, create wealth and jobs for our people and ultimately grow our Gross Domestic Product (GDP) positively,” Governor Ambode said. Earlier, Nigeria’s Minister of Industry, Trade and Investment, Mr. Okechukwu Enelamah said the Dangote Refinery project could best be described as a partnership between private sector and government at its best. Enelamah commended Dangote for being not only Nigerian champion but champion of Africa with his massive investments and re-investments, which according to him, are creating jobs and growing the economy. 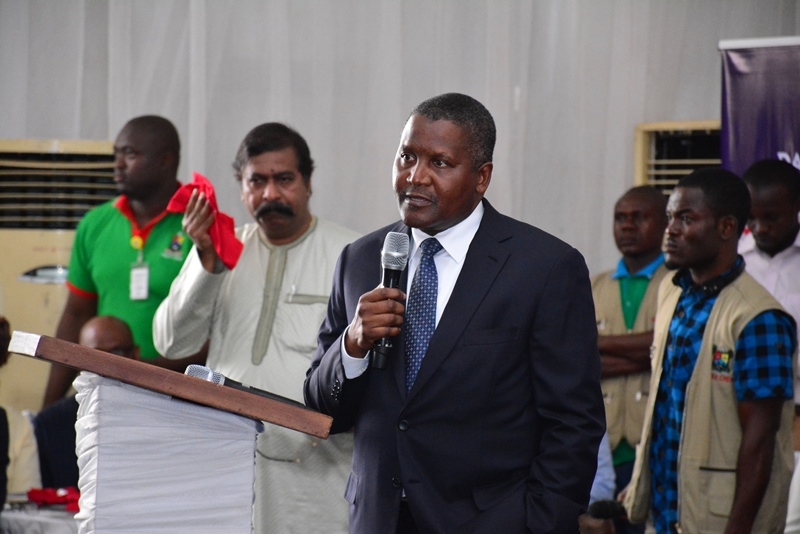 “We need champions and Dangote is a Nigerian champion; he is an African champion; he is also a role model. “We need many examples and with the repositioning that the Federal Government is doing, we are going to see many more examples,” Enelamah said. On his part, Dangote commended President Gnassingbe for finding out time to inspect the refinery, adding that he was happy with the interest and encouragement being received over the project. Apart from the refinery, there is also petrochemical, fertilizer and gas plant with daily production capacity of three billion cubic feet of gas which are being developed by the Dangote Group, all in one location. 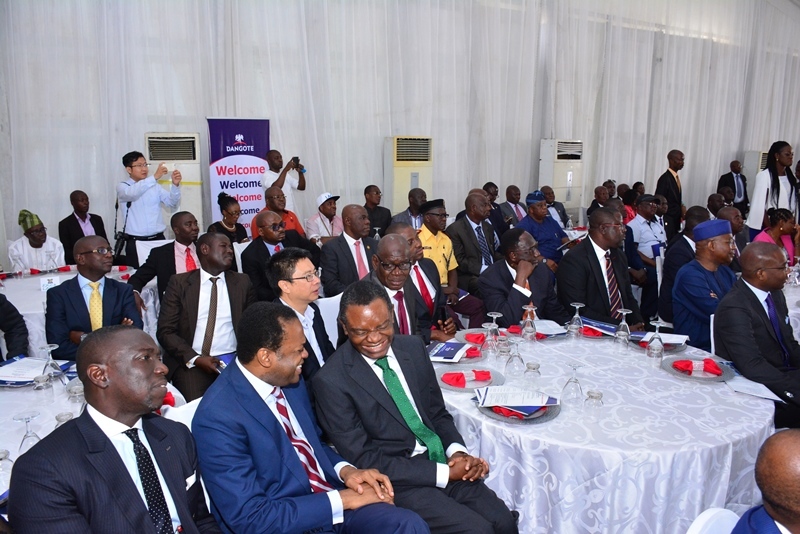 Some eminent dignitaries that participated at the tour include former governors of Ogun, Ekiti and Cross River States, Segun Osoba, Niyi Adebayo and Donald Duke respectively; billionaire businessman and Chairman, Zenon Petroleum and Gas Limited, Femi Otedola, members of the Lagos State Executive Council, among others. 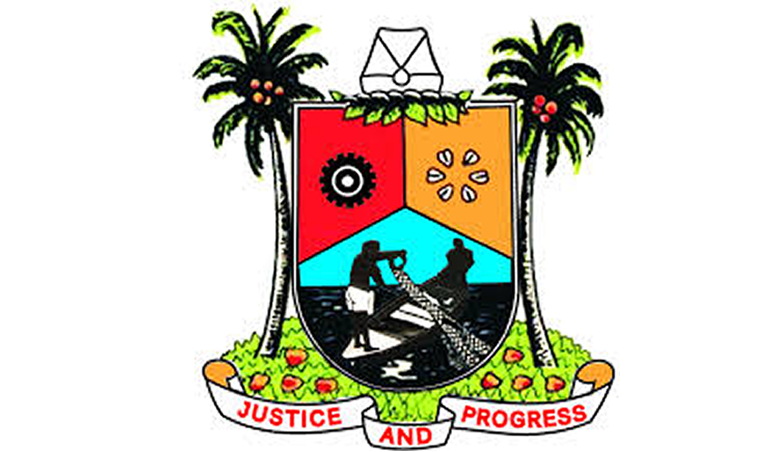 Ladies and Gentlemen, today, Lagos State is recording another major milestone in it’s almost 50years of existence. 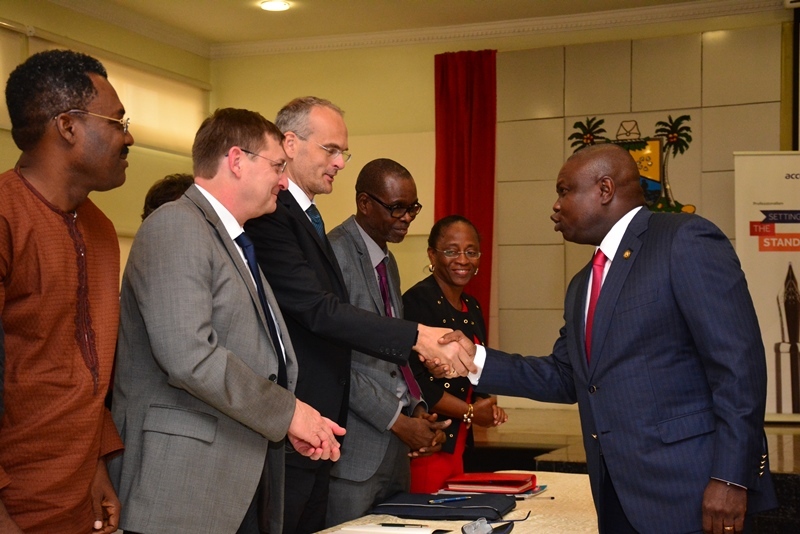 We have just signed a Memorandum of Understanding on the 4th Mainland Bridge. The 38km bridge and expressway will become the longest bridge and expressway anywhere when completed. The significance of this bridge will be fully appreciated if we can imagine Lagos of today without the 3rd Mainland Bridge. Almost Thirty years after the delivery of the 3rd Mainland Bridge; the State has experienced phenomenal growth to become a megalopolis – a city-State with a population of over 21 million people. The increase in the State’s population and expanded commercial activity has led to frequent traffic congestion. This has made it imperative for us to have a 4th Mainland Bridge that will serve as an alternative route to the Eastern axis and decongest traffic in the State. 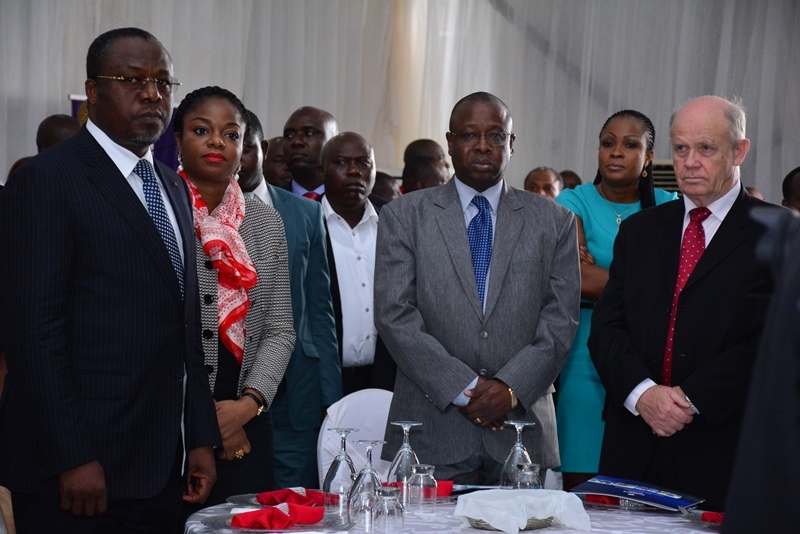 More importantly this bridge will provide the required transportation compliment to the rapidly growing industrial activities on the Eti-Osa – Lekki – Epe corridor of the State. The proposed alignment passes through Lekki, Langbasa and Baiyeiku towns along the shoreline of the Lagos Lagoon estuaries, further running through Igbogbo River Basin and crossing the Lagos Lagoon estuaries to Itamaga Area in Ikorodu. It then crosses the Itoikin road and the Ikorodu – Sagamu Road to connect Isawo inward Lagos Ibadan Expressway at Ojodu Berger axis. The Bridge would be made up of 8 interchanges to facilitate effective interconnectivity between different parts of the State. This structure will be a Four-lane dual carriageway with each comprising 3 lanes and 2metres hard shoulder on each side. The bridge will be constructed to have a generous median to allow for both future carriageway expansion and light rail facility. There is no gainsaying the fact that huge benefits will be derived from this project but most importantly, make life more comfortable for Lagosians. I must not fail to mention that this PPP arrangement with our partners, seated here today, is a major testimony to the confidence they have in our administration and the Nigerian economy in general. We have learnt our lessons and we are confident that this project will be delivered on a Win-Win framework for all investors. This is so because this is the first time in the history of the State that we are embarking on the construction of a long-span bridge and expressway without Federal funding; and also having a project to be funded solely by the private sector. I am delighted that this project which has been on the drawing board for quite some time is now set to become a reality. This again, is the Continuity with improvement which we promised Lagosians. We have started the process with the signing of this MOU which is an expression of the commitment of major stakeholders including the government and the consortium of consultants and investors to the delivery of the project within the scheduled time frame. Let me use this opportunity to reassure all Lagosians of our commitment to the Lagos Project with World Class transportation system as a vital component. A modern and efficient transport system for the movement of people, materials and finished products is a key requirement for the sustenance of economic growth in a State like ours. We shall therefore continue to leverage on our endowments to explore opportunities to make ours an efficient, effective and integrated transportation system. I want to appreciate everyone present here today; our party leaders, all consultants, investors and government officials. Thank you for making history today. Let me use this opportunity to formally welcome you to the Government House here in Alausa Ikeja, to celebrate the International Jazz Day with you all. This is where I live, because I believe that Ikeja deserves to be the true capital of the state and therefore should be good enough for the Governor of the state to reside. We are here today for two reasons: to celebrate with the rest of the world and in particular UNESCO in commemorating this day, which since 2011 has been designated as the International Jazz Day. We celebrate also with the United States of America and President Barack Obama because Washington DC is this year’s jazz capital city of the world and President Obama hosted a similar evening of Jazz last night at the White House. 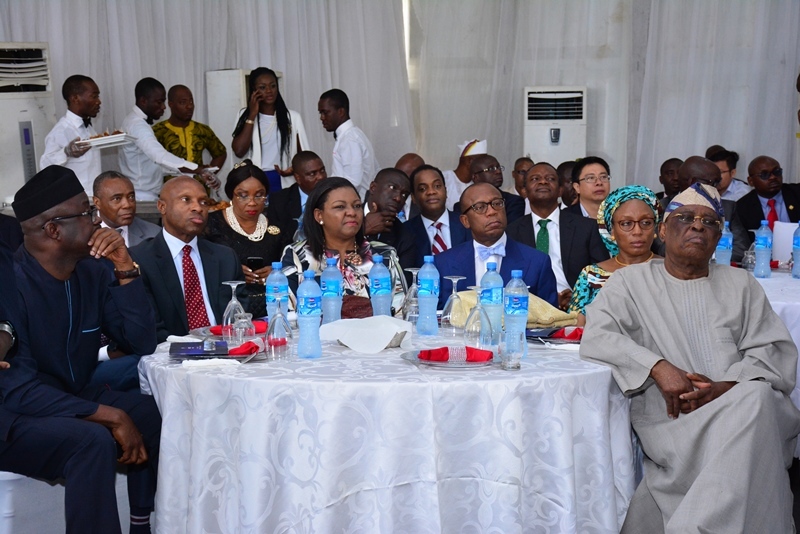 Lagos State Governor, Mr. Akinwunmi Ambode (2nd right); his Wife, Bolanle (right); APC National Leader, Asiwaju Bola Tinubu (2nd left) and Senator Oluremi Tinubu (left), watch as an artiste, Omolara performs, during an evening of Jazz Music with the Governor in commemoration of the International Jazz Day 2016, at the Lagos House, Ikeja, on Saturday, April 30, 2016. Our other reason is to use today’s event to identify with every musician here today, from far and near…and to use their God-given talents and creativity to announce to the world that Lagos is the true capital of arts and entertainment in Africa and that Lagos is in tune with the rest of the world. This musical show is a continuation of our promise to Lagosians that we will use tourism, hospitality, entertainment and the arts as well as sports to create jobs and opportunities for our people and to position Lagos State as a destination with rich entertainment content. Wife of the Lagos State Governor, Mrs. Bolanle Ambode, Governor Akinwunmi Ambode; APC National Leader, Asiwaju Bola Tinubu and his Wife, Senator Oluremi Tinubu during an evening of Jazz Music with the Governor in commemoration of the International Jazz Day 2016, at the Lagos House, Ikeja, on Saturday, April 30, 2016. We demonstrated that commitment in December, when we decentralized the concept of Lagos Countdown concert and expanded it to a five-day, five-venue show as One Lagos Fiesta. We are aware that no other concert in recent times has witnessed such an array of artistes and turn-out of Lagosians who witnessed the concerts at Epe, Badagry, Ikorodu, Agege and Victoria Island. It was a concert that left no one behind. In lightening up the state through our Light-Up Lagos Project and providing a water-tight security machinery that has brought down crime by 65%, our aim is to create a 24-hour economy and the template of a city that does not sleep with government that does not slumber either. This evening’s show took its cue from the success of One Lagos Fiesta. There were at least four different jazz concerts across Lagos yesterday evening with artistes from all over the world, including several Grammy award-winners. I’m happy to inform you that all of them are here tonight, united through music in the centre of excellence which best represents the concept of unity in diversity and borderless brotherhood. It is perhaps the first time that we’d be witnessing this type of bonding and creative energy on a single stage in Nigeria. 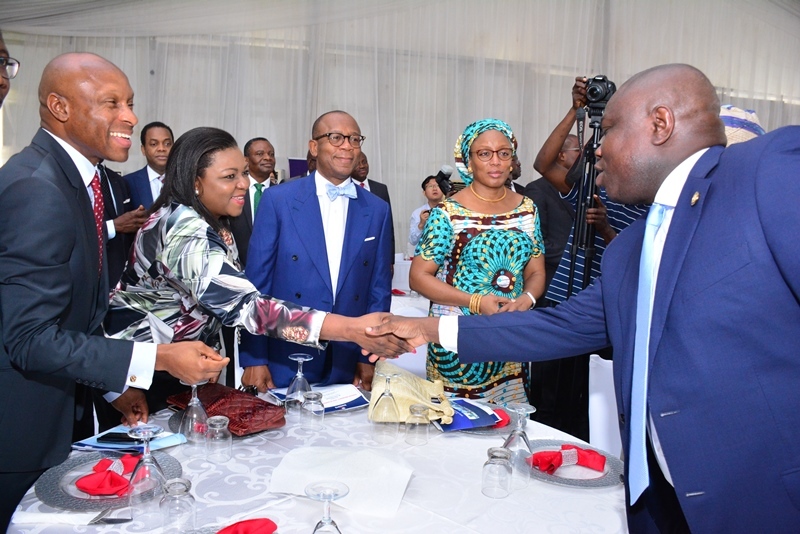 L-R: Lagos State Governor, Mr. Akinwunmi Ambode (3rd left); his Wife, Bolanle (middle); Senator Oluremi Tinubu; Oba of Lagos, Oba Rilwan Akiolu I; APC National Leader, Asiwaju Bola Tinubu; Wife of former Governor Ogun State, Mrs. Derin Osoba and her husband, Aremo Olusegun Osoba during an evening of Jazz Music with the Governor in commemoration of the International Jazz Day 2016, at the Lagos House, Ikeja, on Saturday, April 30, 2016. I believe this show of brotherliness and synergy is in sync with the values being promoted by UNESCO through the International Jazz Day. Let me assure you that this is just the beginning. 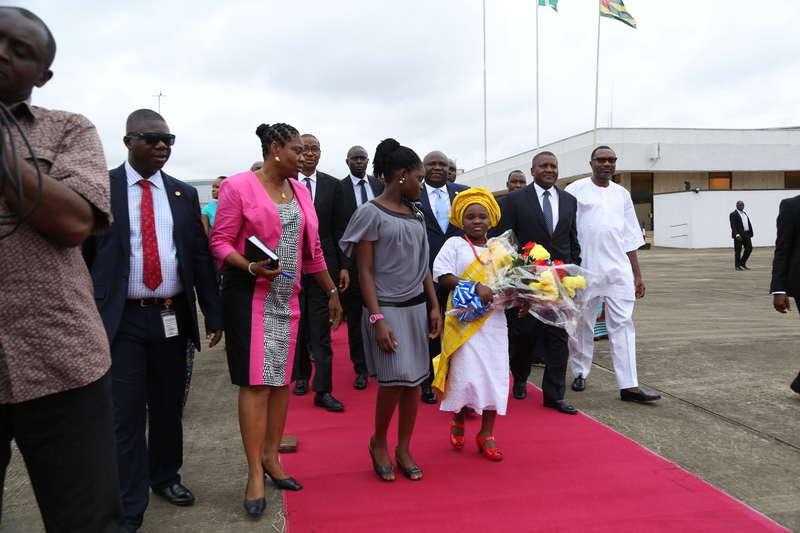 The next edition will be the grand precursor to the great ceremony we are planning for Lagos@50. 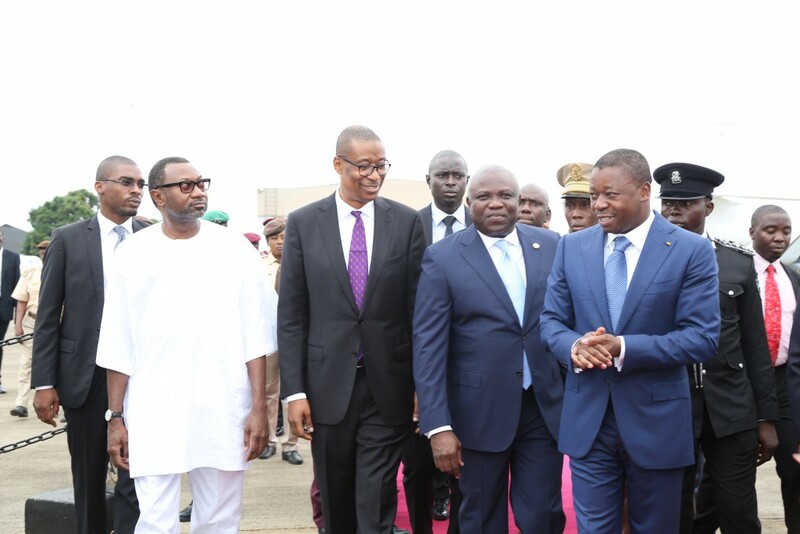 It is our wish that by that time Lagos State would have successfully announced its arrival to the world as a destination of choice and one deserving of the Jazz Capital City appellation.